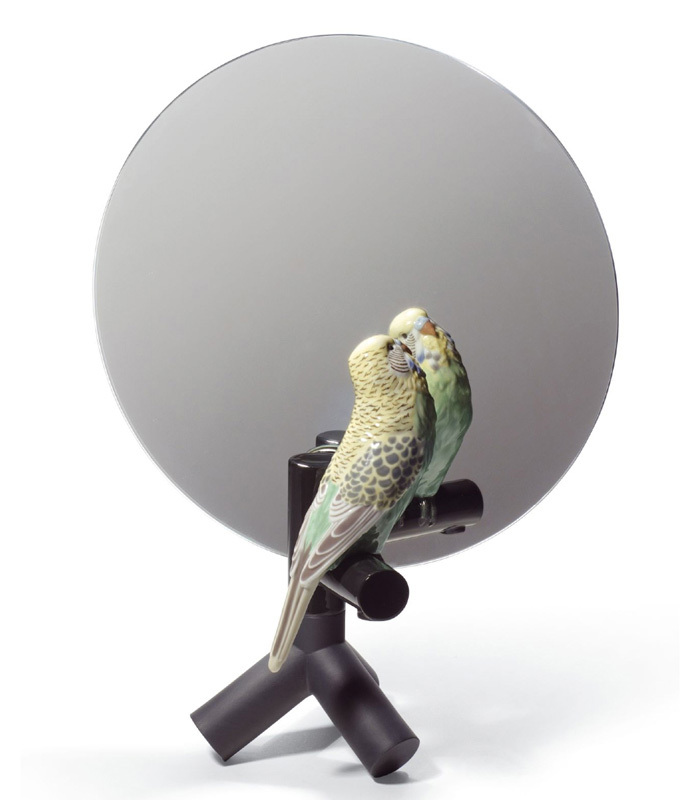 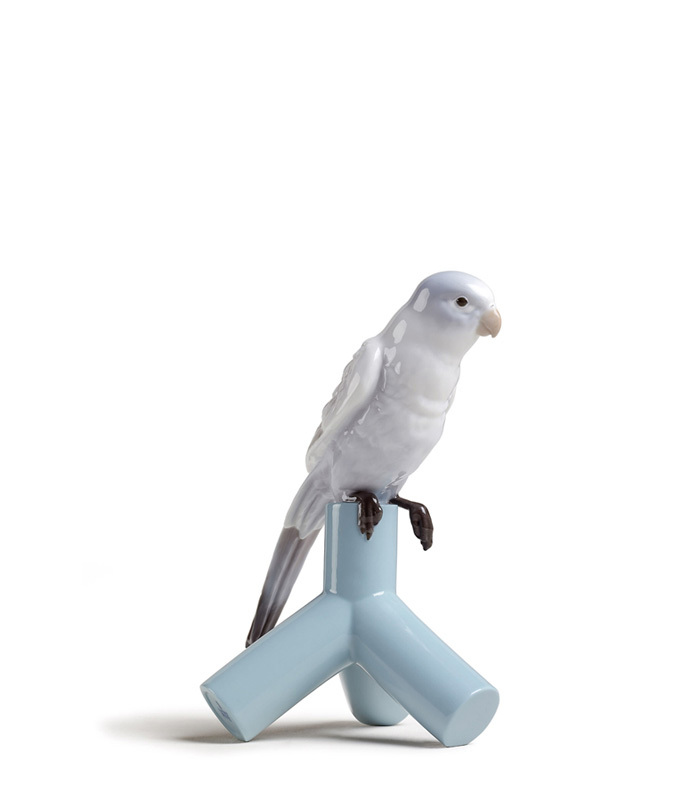 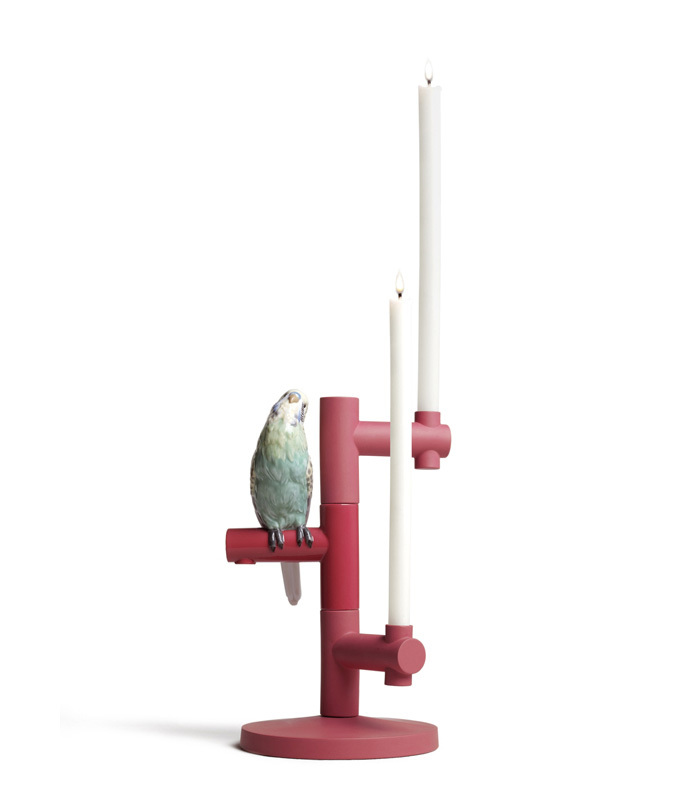 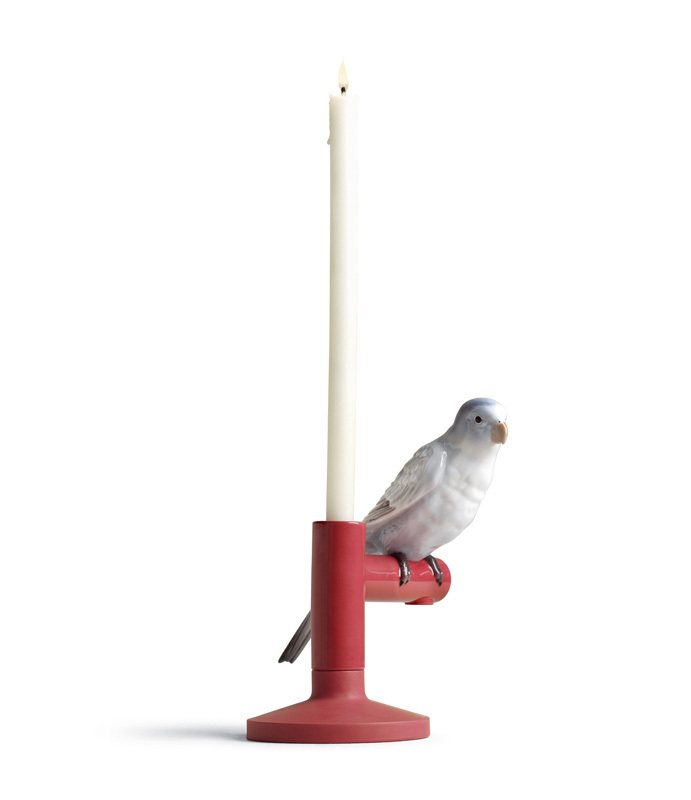 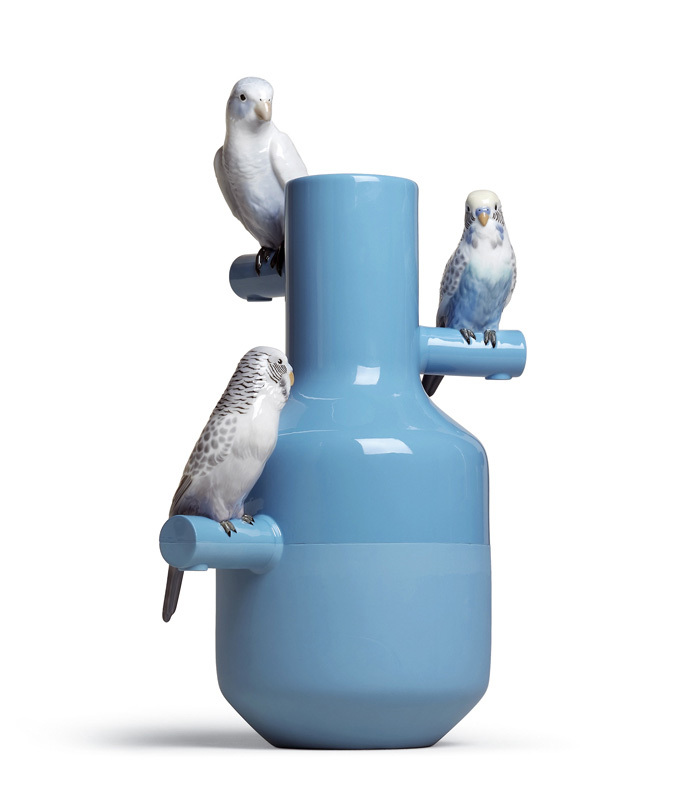 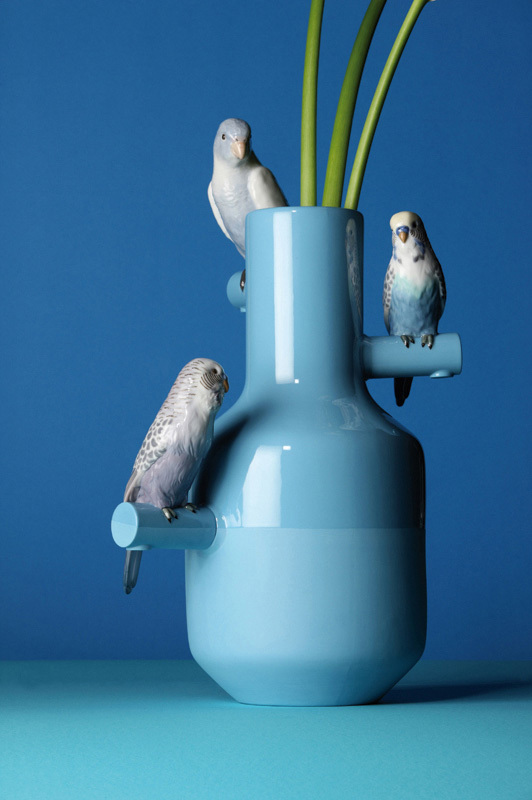 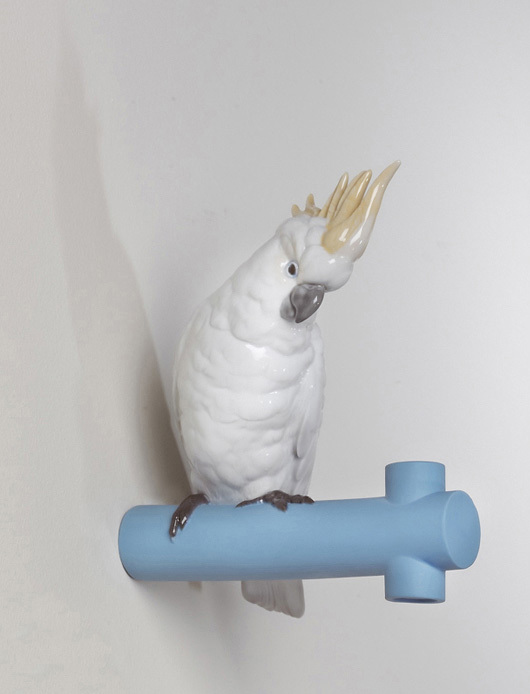 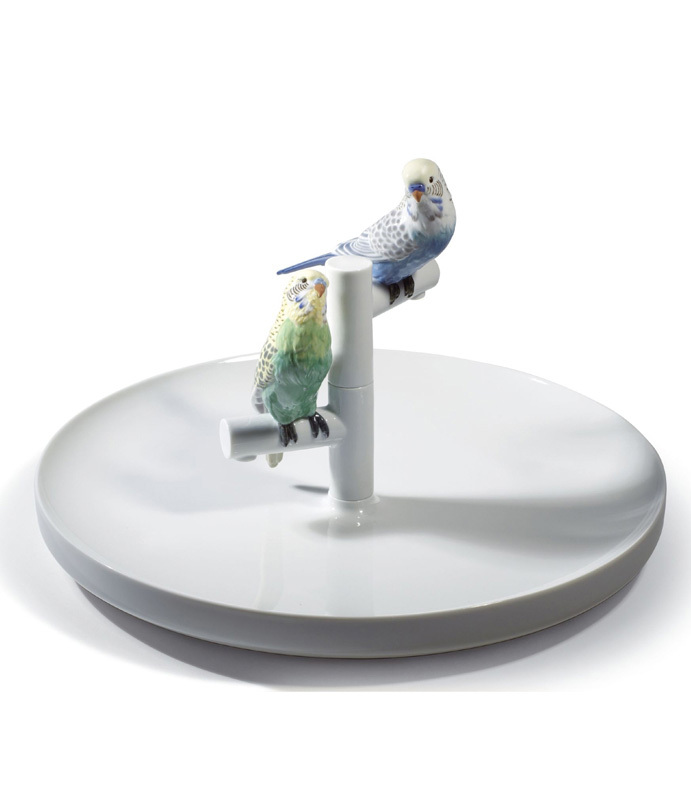 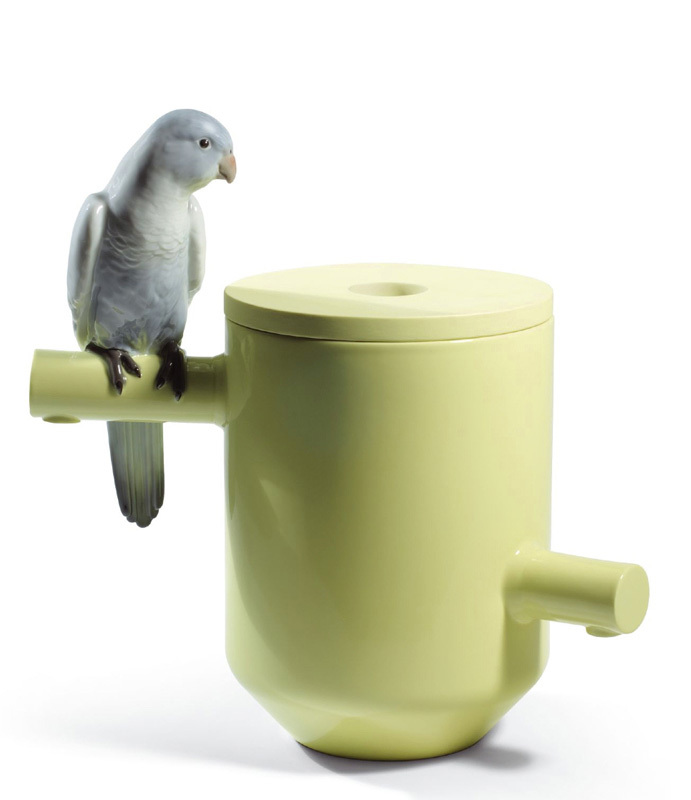 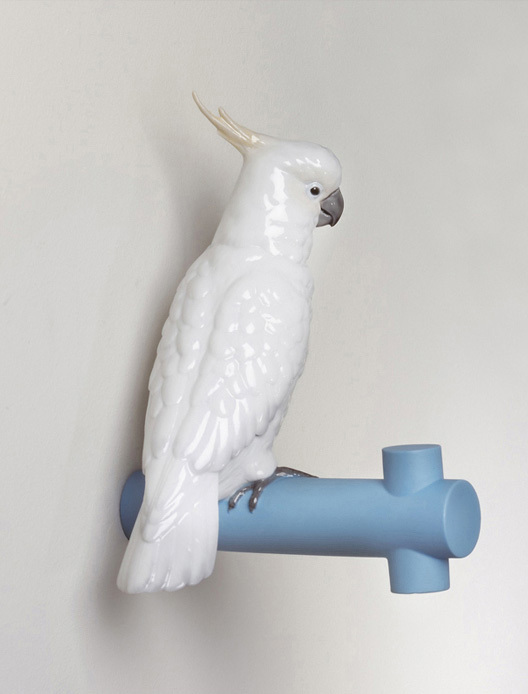 The combination of originality and preciosity is the key factor in The Parrot Party Collection. 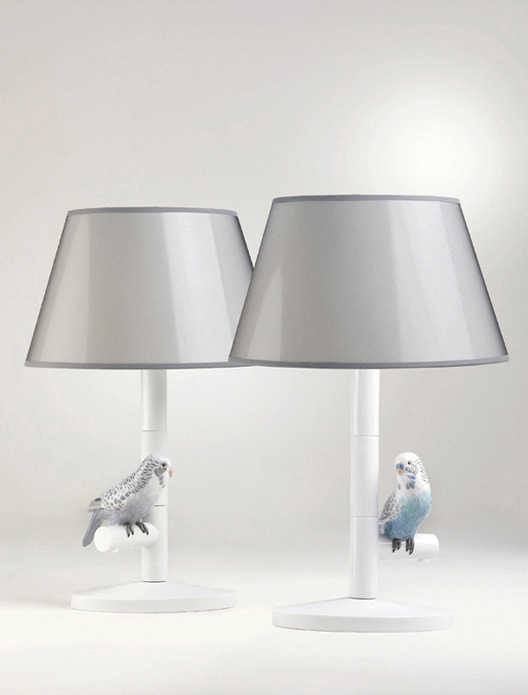 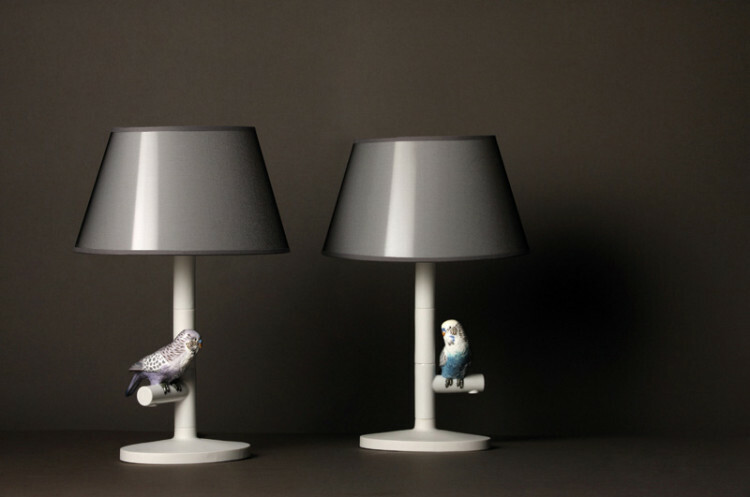 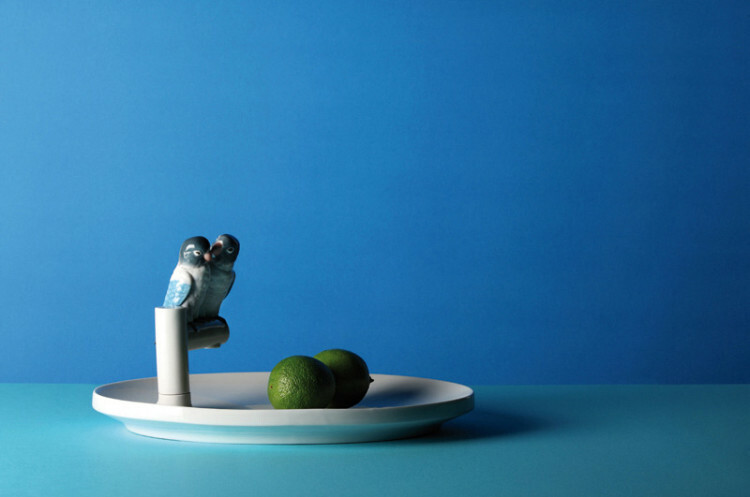 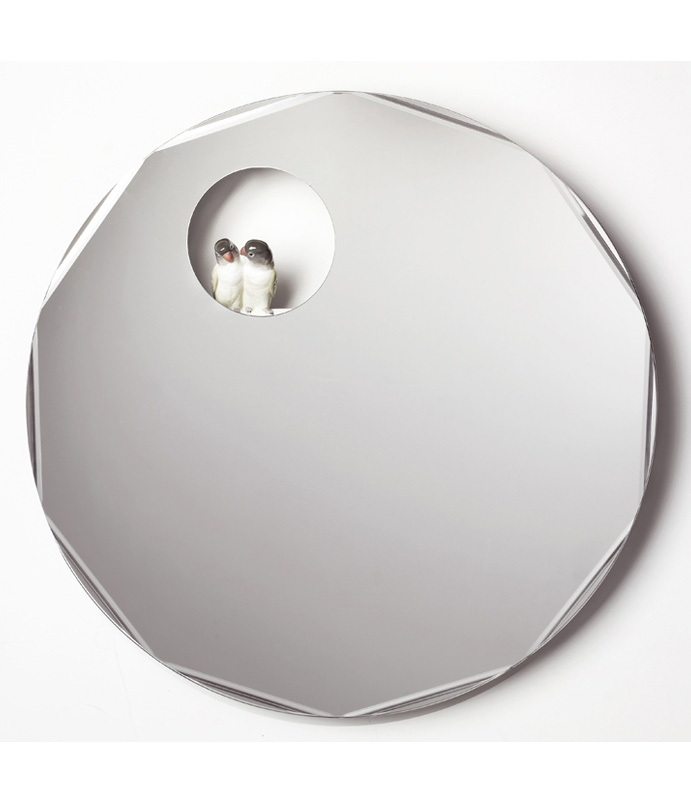 The refined forms of the pieces contrast with the minute decoration of the birds, the core element of the series. 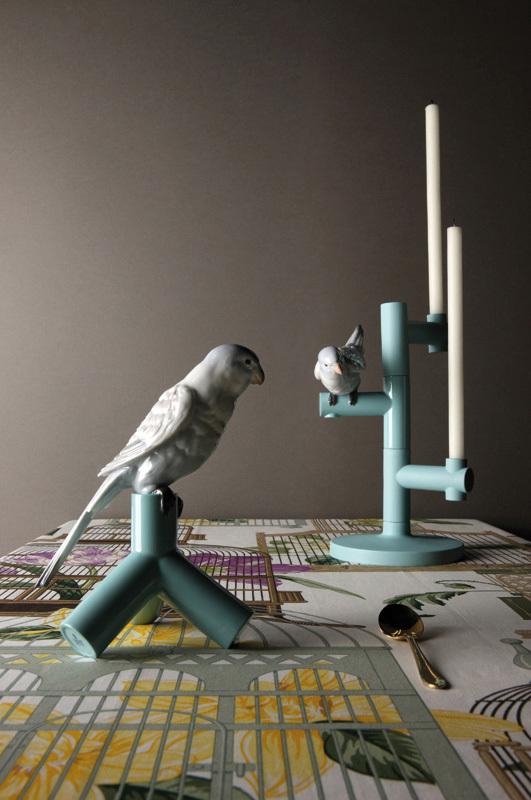 The plumage of the different species of the birds has been reproduced down to the tiniest detail. 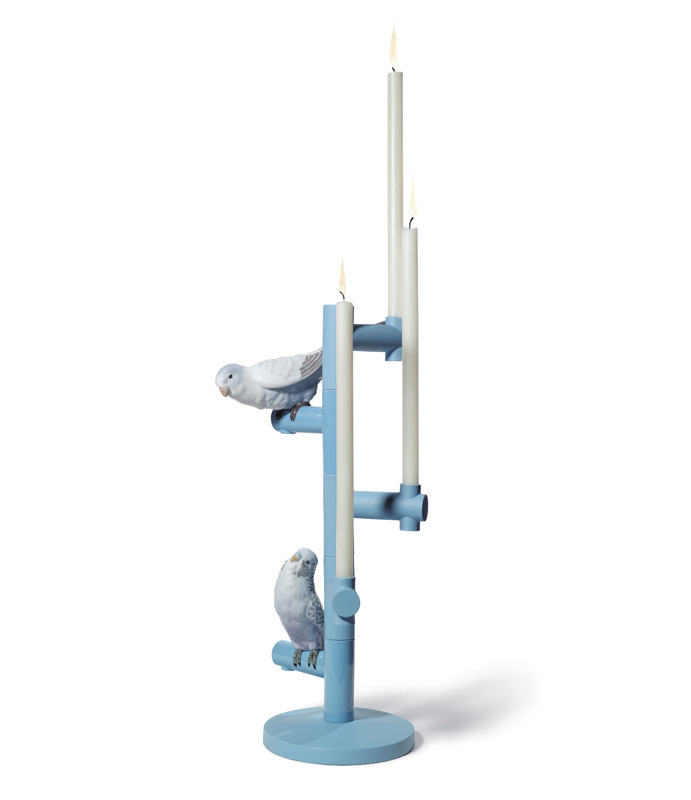 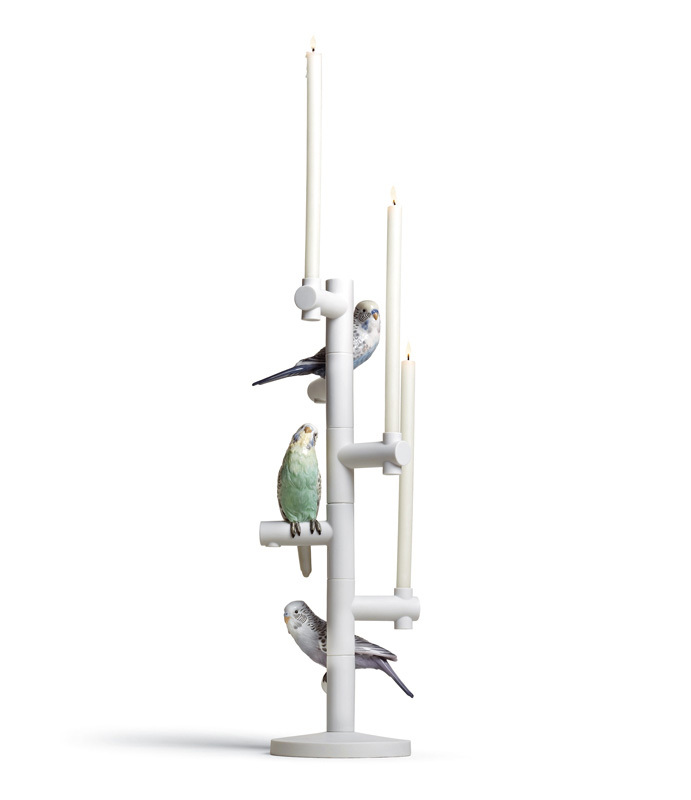 The birds seem to come to life, perched on the original branches coming out of the vases, candelabra, coat hangers and mirrors in this collection. 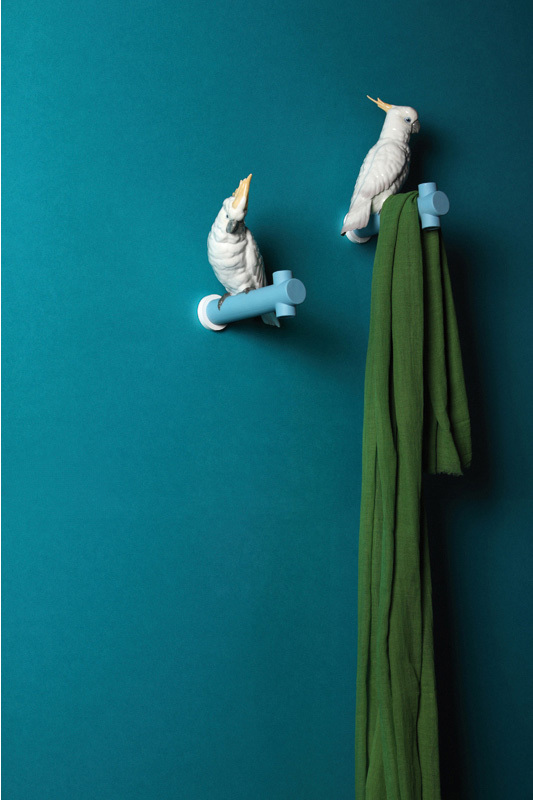 Beauty and functionality go hand in hand in creations whose artistic value goes beyond their decorative potential.